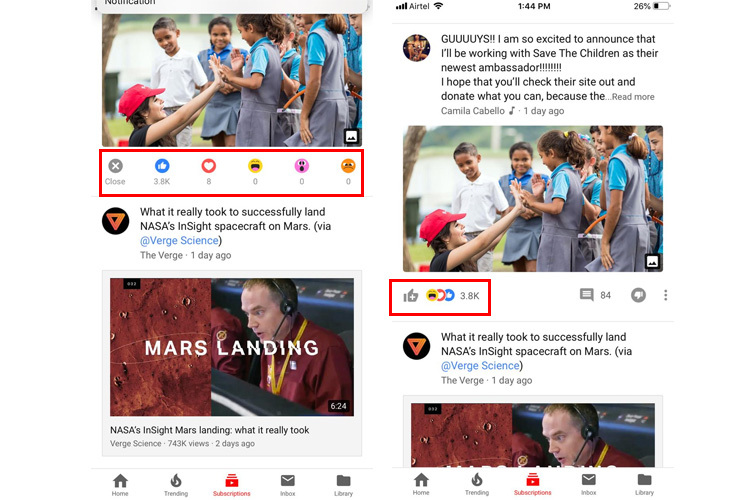 Earlier this YouTube replaced the Discussion tab with the Community tab, offering creators an area to initiate discussions. The company has since been making a lot updates to make the experience better for users and creators. These reactions are not showing up for everyone. One of my colleagues here at Beebom was able to use this feature on the YouTube app (13.45.7) on iOS. However, it isn’t working on my iPhone even when I am using the same version of the app. So, I am inclined to believe that’s it’s a staged rollout or an A/B test. 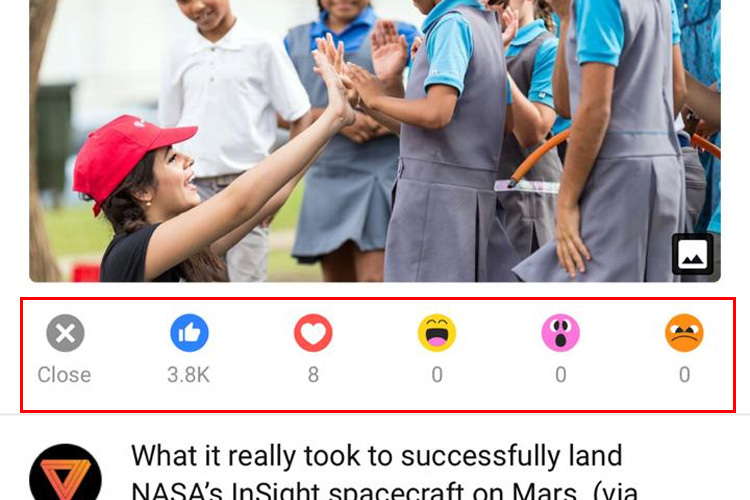 In order to react to a YouTube community post, you can simply tap on the ‘Like’ button until it expands to show the reactions. The reactions, as you can see, are very similar to the ones found on Facebook. You can react by either sending a Like, heart, laughing, sad or angry emoji. It’ll show you the count for each reaction right below the emoji. You can simply tap on the reaction to show how you feel about the post. It’s not necessarily a new feature, but it’s a neat addition as it lets you be more expressive instead of liking or disliking a post. From what I can understand, it’s only showing for few users on the iOS version of the app. So, Android is pretty much out of the question now. Anyway, if you’re able to use this feature on the YouTube app, then be sure to comment down below.